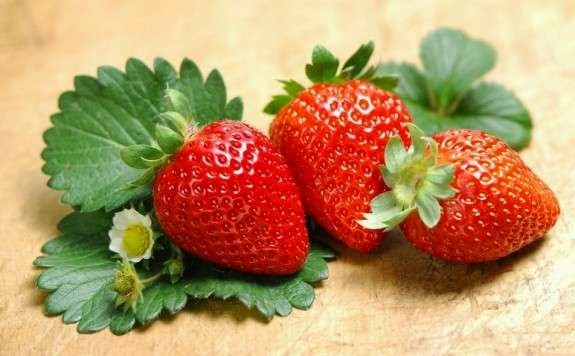 If there is a fruit with irresistible look, pleasant aroma and great taste, which is also extremely healthy and beneficial, it is undoubtedly a strawberry. Strawberries belong to the family Rosaceae (rose). The first garden strawberry was grown in France during the late 18th century. Before that, people consumed and cultivated wild strawberries. These berries are full of surprises. Believe it or not, among the many types of strawberries there are even yellow strawberries, that are seen as a real specialty, and whose fruits are harvested until autumn. It is interesting to mention that strawberries are the only fruit whose seeds are not hidden inside the fruit - they are placed outside. Healing properties of strawberries have been known since ancient times. In addition to the fruit, strawberry roots and leaves can be used for healing. Strawberry leaf tea is used for centuries as a remedy for indigestion, eczema, sore throat, common cold and flu and for treating gout. It is made by taking two full teaspoons of dried strawberry leaves and pouring 250 ml of boiling water over them. After 15 minutes, strain the tea. Drink it three times a day, one cup after every meal. This tea can be used for gargling as well. If you want to cleanse the body, eat larger portion of strawberries in the evening (with no added sugar or whipped cream), and in the morning you will wake up fresh, rested and energized for the upcoming day. Because it has analgesic properties, if you catch a headache, do not reach for the aspirin. It is better to eat a bowl of fresh strawberries, because unlike aspirin containing acetylsalicylate acid, strawberries contain natural salicylates. Also, thanks to anti-inflammatory, antipyretic and antibacterial properties, strawberries can be used for alleviating inflammation, lowering temperature and muscle pain. In addition, strawberries are an excellent remedy for burns. 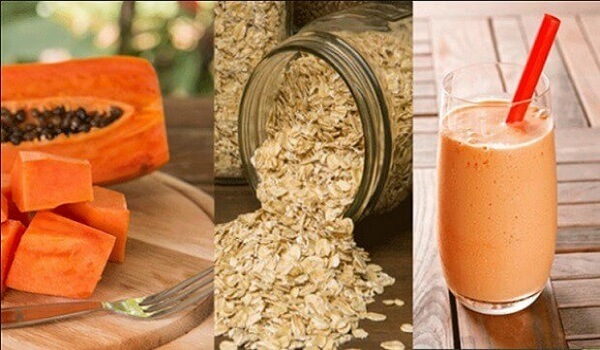 They contain plenty of vitamin C and vitamin A, fiber, iron and folic acid, which is, among other things, necessary for pregnant women or women planning pregnancy. It is best to eat strawberries fresh, on an empty stomach or between meals. If you eat them unsweetened, they are great for quenching thirst and even diabetics can use them. Strawberries can be used for beautification, which does not mean you should bathe in the juice made of ten kilograms of strawberries like the famous Madame Tallien. Since strawberries clean and nourish our skin and, thanks to vitamin C and A keep it smooth and tight, it will be enough to put strawberries cut into rings on your face, or mash them to make a facial mask, once or twice a week. If you rub your teeth with them, you will remove stains and make them whiter. Female population will surely be pleased by the fact that strawberries can help fight cellulite. They contain high amounts of vitamins C and A - natural antioxidants that slow down aging and loss of elasticity. Regular consumption of strawberries accelerates blood circulation and helps fight this hated enemy of many women. And if you are in a persistent battle with excess weight, you will be thrilled with the news that strawberries accelerate metabolism and reduce appetite. They are also very low in calories - if you do not eat them sprinkled with plenty of sugar or topped with whipped cream. If you want to lose weight, try this extravagant gastronomic delight - sprinkle strawberries with a pinch of red or green pepper. You will be surprised by the taste! Many nations around the world hold the belief that strawberries have aphrodisiac properties, and enhance the fire of love. Strawberries and champagne have become synonymous for a romantic evening together. Taking into account their heart shape and deep red color, it is no surprise that strawberries are dedicated to the goddess Venus, the goddess of love. According to the legend, if you split double-paired strawberry in half and eat one half and give the other to a person you like, you will fall in love. If that does not happen, you will still feel happy, because according to the beliefs of ancient Romans, strawberry eliminates melancholy. There is no doubt in that - just one look at strawberry is enough to put the smile back on our faces.